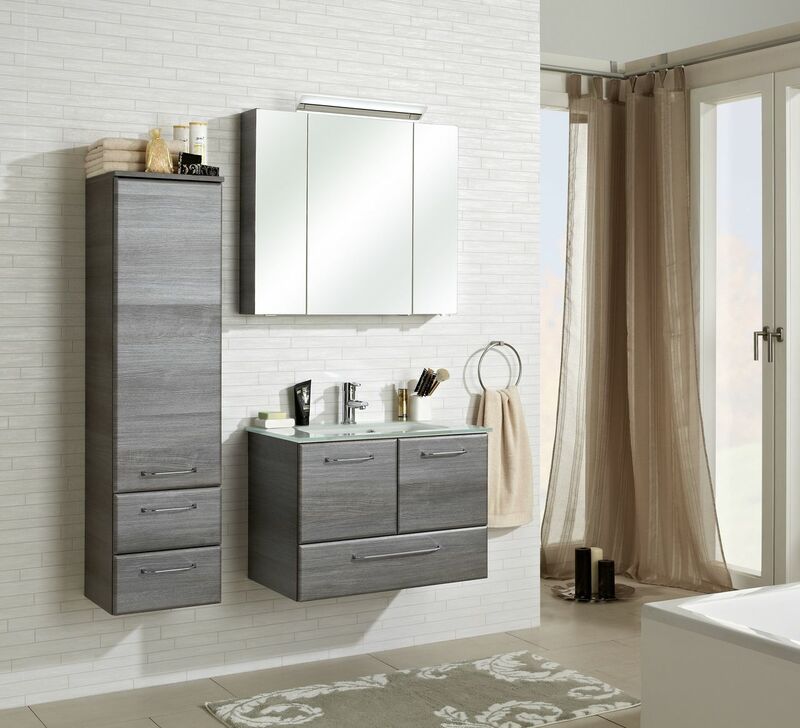 Modern bathroom furniture ranges can certainly be classically rounded, but can also be modern and rectilinear. With its choice of four possible décors, Filo has a lot to offer in this regard. As always, this collection revolves around the individual components such as the washbasin, the vanity unit and the additional units. Filo offers these in a wide range of models. The washbasins are offered in a choice of mineral marble or ceramic material and are available as a single or double washbasin. The collection offers various base units to fit underneath the washbasin which match the rectilinear or rounded basin. The storage space within the base unit can be selected with either doors or pullout shelves. This applies for additional units too. Midi units, high boards and the like are offered with a choice of closed doors and drawers or with open compartments. In order that everything is within easy reach, chrome gloss bow-type handles are fitted to the doors and drawers. 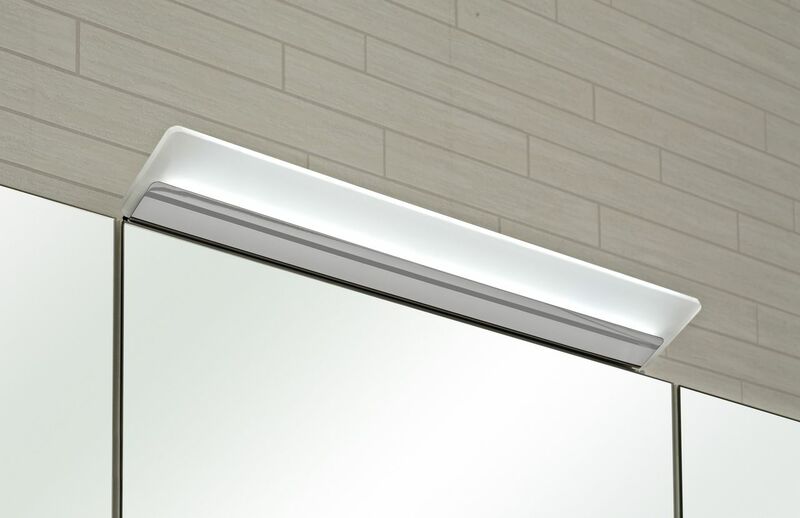 The stylish LED mirror provides optimum visibility with its modern LED technology. The furnishings are coated with a premium, low-maintenance film in a glossy white or concrete décor. 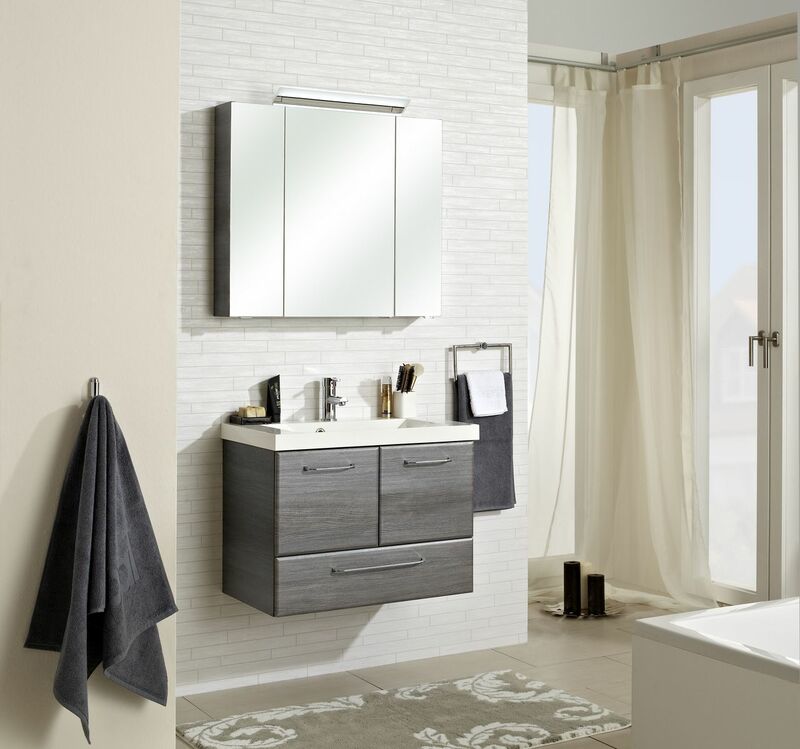 On the inside, your bathroom furniture set is coated with white melamine - which is ideal for quick cleaning and less prone to collecting moisture. Filo is versatile and offers fantastic possibilities for your personalised bathroom.